“She charged me $6.00.” That’s highway robbery!! Of all the things a woman would be upset about. Lets see, someone stepped on her new shoes, maybe a bird got her just in the right spot, or perhaps she left her passport at the airport. These are things that warrant being upset!!! Absolutely, I would be for sure. But Noooooo!!! This woman ranted on about something else. Of course she had no clue who she was speaking to. You see I never meet a stranger. That’s right, I don’t have a problem striking up a casual conversation with anyone. On this day it was about sewing. Yes, my favorite subject. However, this time it wasn’t about me and what I do. I carefully held my interest in sewing my little secret until I allowed her to give me her thoughts. Her thoughts were exactly what she gave me, in all its glory. I’ll need to take you back a bit to a time when there was that little ole lady that lived down the block, or was a Sister in the church that sewed. She wasn’t actually a seamstress for all. Just that little ole lady we all came to love and call upon to do our mending and sew up the choir robes, or usher uniforms or to sew on the patches for our newly deserved high school letter-mans jackets we wore so proudly. Maybe she made a few really nice designer look alike for your prom or a friends prom or party, maybe she became so good at her craft that she became acclaimed by many far outside our like circle. Stay with me now….., this is good. After all this little ole lady’s experience and her well earned expertise and how revered she has become, and after all the accolades of today and how you would “go tell it on the mountain”….”over the hills” and everywhere, you tell everyone: SHE is “GOOD! !” The woman is REAL GOOD!!!! But wait!.. she is not good enough to charge you $6.00 to put a few darts in your jeans. This was the conversation I endured with this stranger. My lady (the little ole-lady), she says, charged me only $3.00, how can this new woman think what she is doing so great that it warrants charging me $6.00. Man I can do that myself! To that I say, get a machine, take a class, if you trust the teacher and do it yourself! I love teaching folks how to sew. In my humble opinion, I believe two things regarding skilled services. When it comes to schools and education, each parent should be required to be put in the teacher’s shoes for one week in order to respect what they go through, and the other is, anybody that wears “women” clothes should learn what it takes and what goes into producing what they wear from inception to display. There is a great deal of work that goes into skilled services, and unless artisans and customers are educated, there will continue to be this kind of disdain and low respect for a well earned good days pay. Did I ever mention how much I enjoy teaching sewing to my grand-daughter? Have I ever mentioned the amount of intense satisfaction I receive from watching her complete each step of the construction process? I am not sure if I shared that with you all yet….so I will begin again. To all the ladies who met my granddaughter at PR Weekend inAustin, TX….”Mini-Me” was elated to be around so many people that sew!!!! My goodness she was so excited and just booming with excitement meeting all of you. 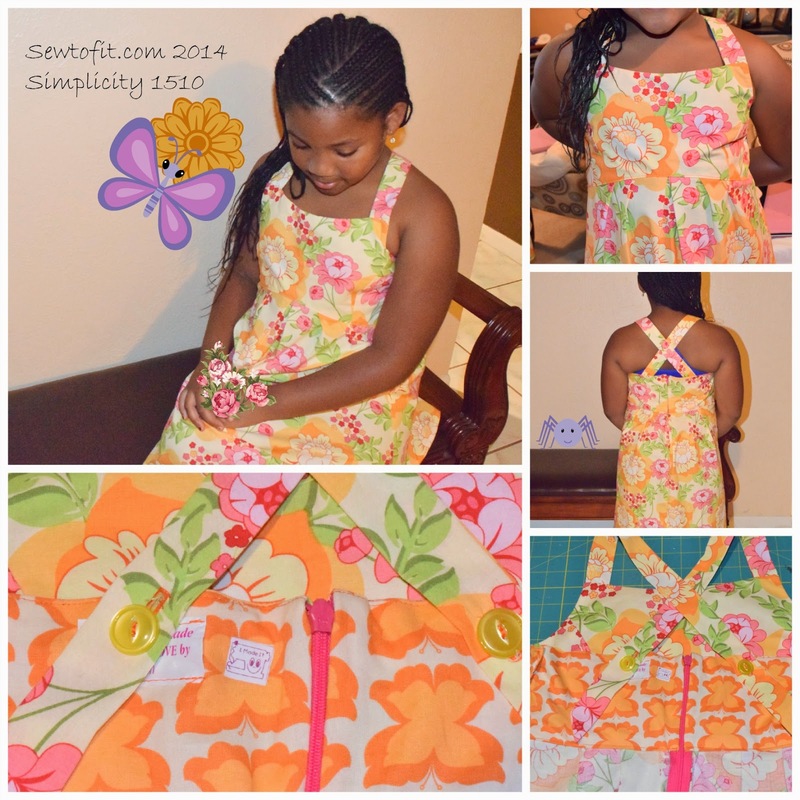 This little girl here could have hung and chatted with every level of seamstress there…!!! She would not have missed a beat understanding “every concept and detail of construction that was discussed. Pattern Description: Simplicity 1510–This dress is listed as special occasion in three lengths with a bolero. She chose to make dress C, w/o the bolero. 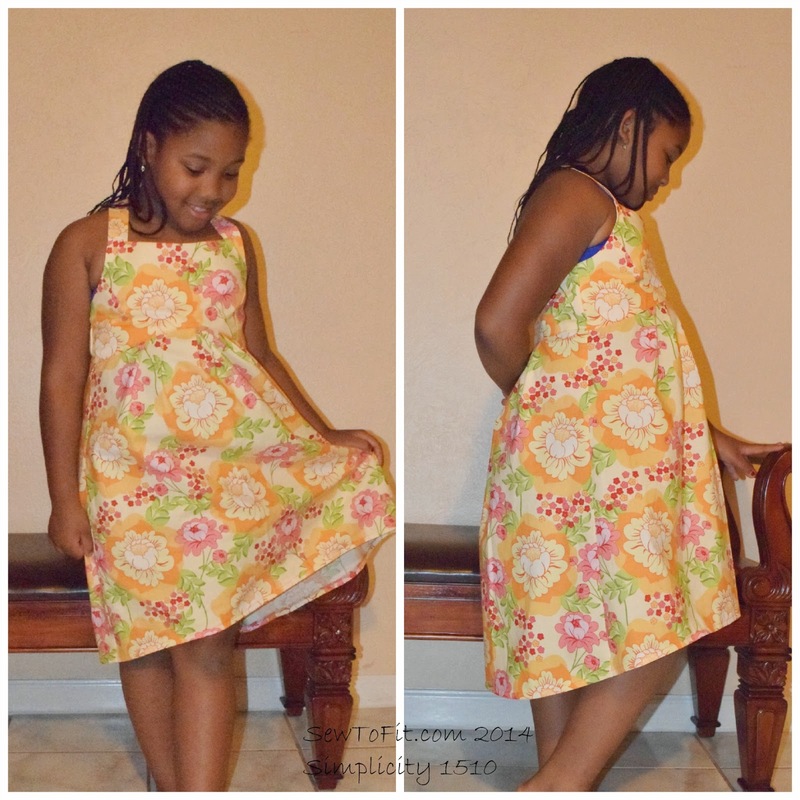 Fabric Used: She chose a cotton quilting fabric from our local Its-A-Stitch. I tried a “quilting” fabric from JoAnn’s when she was younger for a dress I made…and needless to say, “Never again.” With all the work I personally put into that dress to have it fade, I decided to buy the best quilting cotton, quilters use. From now on I want the dress last through multiple childhood washings. Did it look like the photo/drawing on the pattern envelope once you were done sewing with it? This is a really nice rendition of the picture on the pattern, yet, much more casual. I like our version better.. 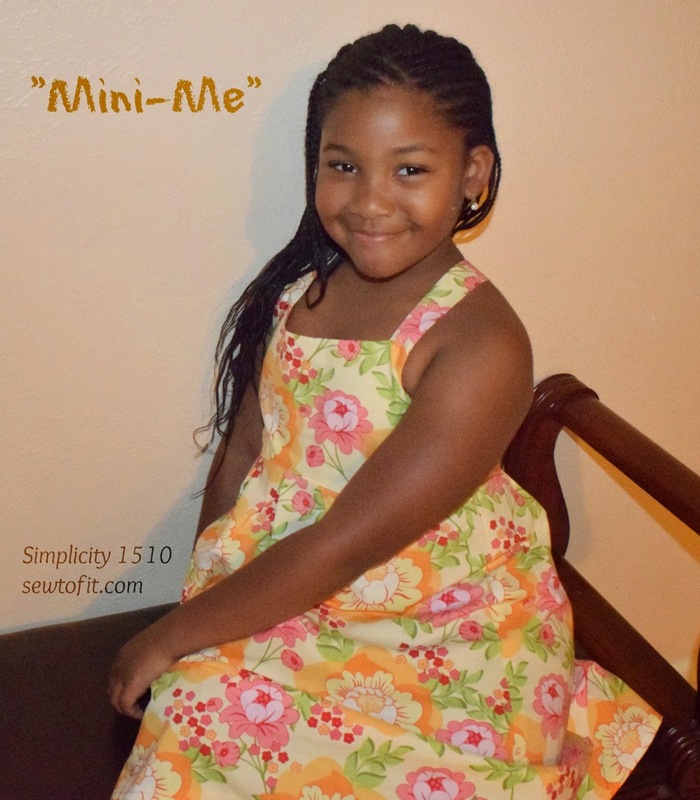 It seems if you use a dressy fabric for her age, then it would not be a “sundress” or play dress and just might be age appropriate. Were the instructions easy to follow? Of course the reading of the instructions were done by me, she can read some, but these instructions are for Greek majors.. Thus, I circled the easy stuff for her, and she was able to complete “ALL” the straight stitches and even used my Bernina 640 to make the buttonholes on the straps. (One touch buttonholes—“a wonderful invention”) She also cut out the entire dress. I only went back and checked to make sure the cutting was “O.K.” to achieve success and not deter her with being too nit-picky. She also sewed her hem, the straight sides of the zipper (after I setup the machine and placed the needle) She was able to help mark all the pleats and learned about the importance of marking and pressing. She was so very proud of her work and so was I. Before we have only used the “Kids Can Sew” program which I used to teach some years ago. This is why she has her own garment labels to adhere to her creations. Pattern Sizing on envelope: The sizes are listed for children up to a size 16 (34″chest) on the pattern…and are sold in plus sizes as well up to 16 1/2 (36″chest) That is a very generous size range for one pattern, considering the big four usually only give just a few sizes. We cut a size 14. Afterwards, I realized that they are fitted the same as for adults and thus I should have gone down a size and cut the size 12, because it was just too roomy, and showed too much for it to be a sundress… I guess if it was closed up on the shoulders and sleeves then a larger roomier size would work. 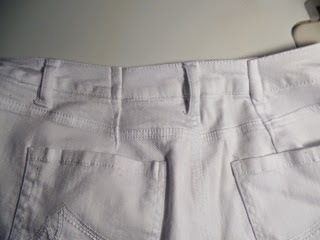 I had to then remove the excess from the side seam. Pattern alterations or any design changes you made: My granddaughter is quite the designer, however, since this was her first time out using a “big girl” pattern, we did not make any changes. I did make sure to shorten the straps substantially for coverage. What did you particularly like or dislike about the pattern? The dress is really nice. I love it. I feel it is about time we get so many nice “girls” patterns for the in-between kids. Would you sew it again? Would you recommend it to others? I would recommend this wholeheartedly and without hesitation we will sew it again. Best way to learn for her is to do another one just the same. Conclusion: I love teaching my Granddaughter to sew. I think every child should learn to sew, it helps with following instructions, math and reading a ruler…which she knows from sewing.